Hey Everyone! 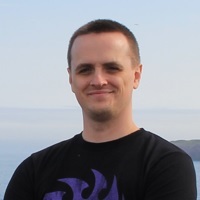 I’m Dave Churchill, lead AI programmer on Prismata. 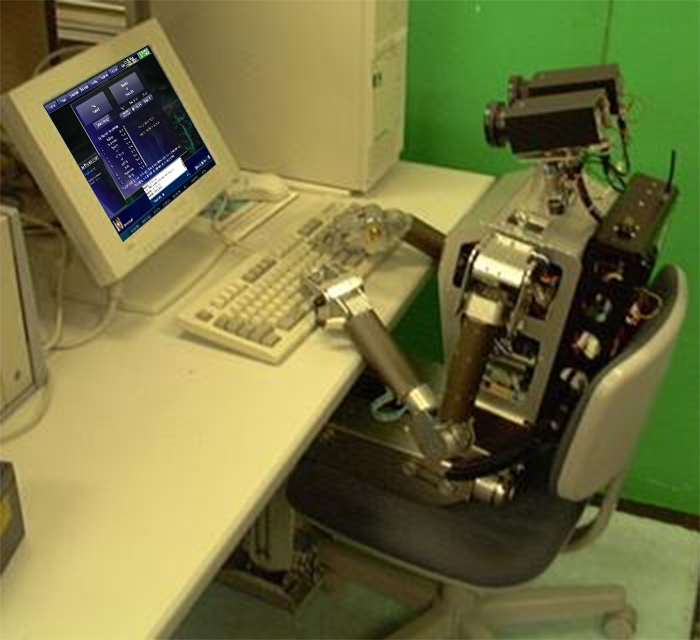 While working for Lunarch I’m also finishing up my PhD in video game AI at the University of Alberta. In 2013 my StarCraft AI bot UAlbertaBot won the AIIDE StarCraft AI Competition, which we have been hosting at UofA since 2010. There are a lot of similarities between the AI for StarCraft and for Prismata, and we’ve been able to use some state-of-the-art RTS AI research techniques with new twists. For those not familiar with it, Prismata is a hybrid strategy game that combines ideas from RTS games, card games, and tabletop strategy games. A “how to play” video is available here. Some people describe Prismata as a “real-time strategy game without the real-time”. However, Prismata presents many new and unique challenges that make it different from a traditional RTS in terms of AI design. Let’s dive into an overview of the AI in Prismata: from initial motivations all the way to implementation details. Give new players a computer opponent to learn the rules more easily. Jumping right into player vs. player games can be scary when you aren’t sure of all the rules or techniques of a new strategy game. The Prismata AI offers several difficulty settings from ‘docile punching bag’ all the way up to ‘Skynet wannabe Master Bot,’ ensuring that when you step into the PvP arena you’ll be ready to brawl. Give more experienced players a challenging opponent to practice against. The AI can be a strong opponent for you to practice strategies or build orders against. It won’t even give away your secrets and “leet strats” to another player. Give the single player campaign more intelligent and dynamic gameplay. Single-player missions/campaigns in most video games are scripted sequences of events that play out the same way every time, allowing you to just memorize strategies in order to defeat them. In Prismata, the missions are guided by our dynamic AI system, which ensures you don’t fight against the same tactics every time you play. Our AI can adapt to any game situation we give it without having to write specific behaviours for every scenario we create. This means that we can pump out more content without worrying about hard-coding rules and strategies for each one, so we can release content faster. Allow players queued for ranked play to play against the AI while waiting. 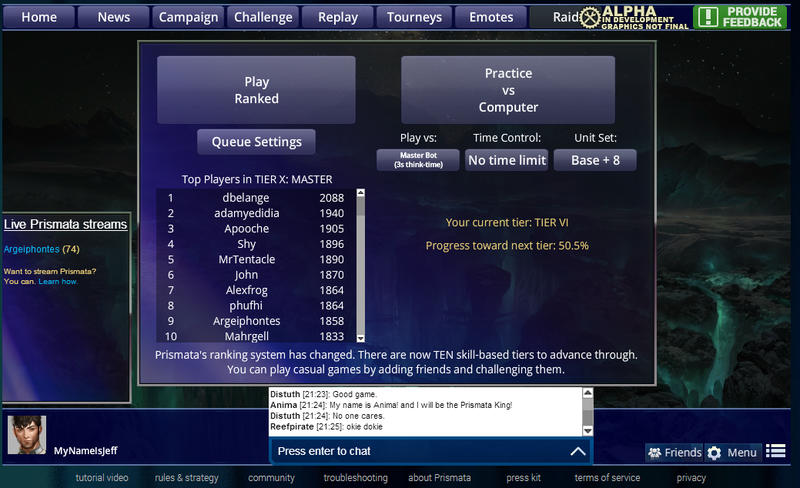 If you’ve ever watched top level League of Legends or StarCraft players streaming, you know that top-level ranked queues can sometimes take a while to find a player. In Prismata, you have the option to play against a computer opponent while you are waiting, and instantly jump to your human opponent when your queue pops. Help identify game balance issues. With a strong AI, we don’t need to rely completely on player testing in order to test whether or not new units are fair and balanced. We can play millions of AI vs. AI games to test to see if some units are too strong or too weak before we release them to our users to play with. Part of making a fun AI is making an intelligent AI that can play the game well. This is the term used to describe the number of possible positions (or states) a game can have. Take for example the game tic-tac-toe, which has 9 possible spaces and 3 possible values for each space: Blank, X, O. If each of the 9 spaces has 3 possible values, then we have 3 to the power of 9, or 3^9 = 19683 possible tic-tac-toe boards. If we then subtract the number of impossible states (ie: all X’s) and the states that are equal due to symmetry, that number shrinks to 765 states, which is easily solvable by computers. More interesting games have much larger state spaces. Checkers is the largest game that has ever been solved by computers. With approximately 5*10^20 (five hundred billion billion) states, it took over 200 computers 18 years to solve (finally completing in 2007). More complex games like Chess (with 10^47 states) have not been solved, even though AI researchers have been working on them since the 1950s. In Prismata, we can calculate a rough estimate of the state space as follows. In a typical Base + 8 game players have access to 11 base units and 8 random units, for a total of 19 units per player, or 38 in total. If we give a conservative average supply limit of 10 per unit per player, then the number of possible combinations of units on the board at one time in Prismata is 11^38. We then have to consider that each unit can have different properties, can be used or unused, have different amounts of hit points or stamina, etc. If we give a very conservative estimate of an average of 30 units on the board at a time, each with 3 possible states, then we get 3^30 combinations of properties of those units, or about 10^14. Now factor in the fact that Prismata has about 70 units (so far) of which 8 are selected randomly, and we have about 10^10 possible starting states in Prismata. Multiplying this all together gives a very low estimate of 10^64 for the state space of Prismata, or about a billion billion times more complex than Chess. Good luck solving it! There are about 10^80 atoms in the universe, so 10^64 is pretty big. Prismata has at least as many possible states as atoms in the Milky Way Galaxy! This is the term that describes the number of possible moves you can do at any given time in a game. You can consider the action space as a measure of complexity because it shows how hard it is to make a single decision in a game. In a typical board game like Chess, your turn consists of taking a single piece and moving it to another position on the board. An average chess turn has approximately 30 possibilities. Taking a turn in Prismata consists of 4 main strategic decisions: How to defend, what to buy, how to activate abilities, and how to breach your opponent. Even if we consider these problems individually, each of them has an exponential number of possible sequences of actions. In computer science we call these type of problems NP-Hard. In other words, Good luck trying to solve them! Let’s take buying units as an example. Buying units in Prismata is what is known as a Knapsack problem in Computer Science. If we consider unit prices to be objects, and our total resources to be a knapsack, we are trying to fit as many of those objects into our knapsack that we can. For example, with just 8 gold and 2 energy in Prismata, there are 19 possible combinations of units that can be bought! (For the Prismata-inclined, they are: Nothing, E, EE, EEE, EEEE, D, DD, ED, EED, EDD, C, CC, EC, EEC, DC, B, EB, DB, A, EA.) By the middle of the game, the number of possible buying actions can easily reach tens of thousands. If we combine this with the number of ways to block, use abilities, and breach, we find in most mid-game situations, there are literally millions of different ways in which we can play a single turn! With these resources, there are over 25,000 combinations of units that can be purchased… in the Prismata base set alone! There is no cheating. There is no hidden information you can give the CPU to help it ‘cheat’ to make it look more intelligent. For example, in real-time strategy games the AI system will often cheat by knowing where your base is without scouting, or in a standard card game you could let the AI know what units are in an opponent’s deck. Also, you can’t just give the AI a ton more resources with which to make armies faster because you can see exactly how many resources they have. There is no RNG to manipulate. Some games often manipulate the RNG in order to give the AI an advantage, such as giving them higher dice rolls or letting them critically hit more often. Prismata has none of these shenanigans, so you always know that any move the AI makes is legit. There is no “looking intelligent” in Prismata. The AI is either is intelligent, or it isn’t. We need to use state-of-the-art artificial intelligence techniques in order for the AI to play the game at a competent level. It can deal with any game situation you throw at it. We don’t need to write an entirely new set of behaviours or algorithms every time we add new units or change existing units. It is an any-time algorithm, meaning you can run it for as long or as short as you want and it will always give you a move that it thinks is the best. The longer you let it run, the better the move it will produce, which is why we give the Master Bots a longer time setting! It doesn’t rely on a pre-defined evaluation function. Some games like Chess have rules for determining who is ‘in the lead’, such as assigning points to pieces like a Queen being worth 9 and a Rook being worth 5. By using playout evaluations this sort of thing is no longer necessary. This means that we don’t have to spend time coming up with formulas for how powerful units are in order to use the algorithm. By simulating what will happen in the future the algorithm automatically determines which moves are good and which are bad all by itself. It performs better than many other algorithms in games with a high number of possible moves (like Prismata) due to the intelligent way it selects which move to traverse in the game tree. If you’ve been following along, you might now be thinking “but you just got finished saying that there could be millions of actions in Prismata, surely even MCTS can’t handle that many actions.” And you’d be right. This is why we’ve developed a system for dramatically reducing the number of moves that MCTS deals with from possibly millions down to just a few dozen good candidates. Part of my research in Real-Time Strategy Game AI was writing algorithms to control how units attack in StarCraft, or “unit micro” as players call it. This is another scenario where a player has a bunch of units, each with their own possible actions to perform, resulting in an exponential number of moves possible at any given time. We found a technique that works very well in these domains, called a “portfolio” approach: instead of trying every possible move that we can perform, instead we use a “portfolio” of algorithms to generate a much smaller, yet more intelligent set of moves to search over. It turns out that Prismata has some nice properties that make this method especially powerful. Prismata has 3 distinct game phases: Defense, Action, and Breach, each with their own rules and set of goals. In the defense phase you are trying to most efficiently keep your units alive, in the action phase you are trying to perform actions to generate attack and kill your opponent, and in the breach phase you are trying to most effectively destroy your opponent’s units. We can break these 3 phases down even further by considering the action phase as two separate sub-phases: using abilities, and buying units, leaving us with 4 phases. While these phases are technically all part of the same turn, even the best human players often consider them as independent problems that they try to solve separately, as the entire turn would be too much to mentally process at the same time. We combine this idea of separately solving phases with the computational power of game tree search. Prismata’s AI has a number of algorithms for attempting to choose good actions for each individual phase. For example, in the defense phase we could have one algorithm that tries to minimize the amount of resources you will lose if you block a certain way, while another algorithm would try to maximize the amount of attack you have remaining to punish your opponent with. Similarly, one algorithm for the card-buying phase could try to maximize your economic output for the next turn, while another could try to buy as much defense as it could to thwart an incoming enemy barrage. We then search over all combinations of these algorithmically-generated moves in the high-level MCTS algorithm to decide which combination of phase moves results in the best overall move for the turn. This reduces the number of possible moves searched by MCTS from (possibly) millions down to something manageable. By not considering all possible moves this does mean we might miss the perfectly optimal move for a turn, but that optimal move was nearly impossible to find in the first place! Right now, the number of moves that our MCTS algorithm searches per turn is somewhere in the range of 10-40, depending on the complexity of the scenario. 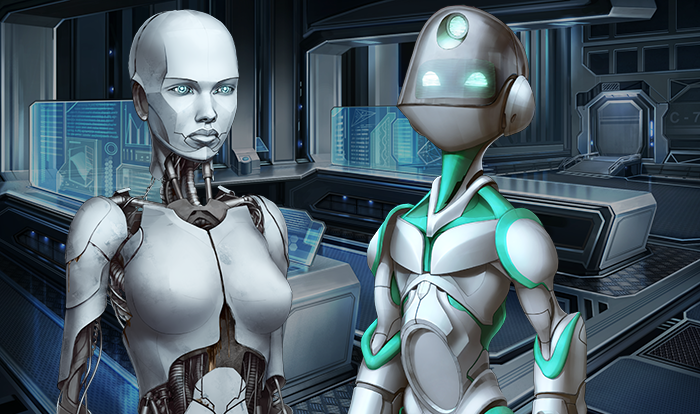 An important goal for the Prismata AI was also to have multiple difficulty settings for the AI so that players of any skill level can enjoy it. The portfolio approach actually makes different difficulty settings quite easy to manage. We start with the hardest AI, then we can turn off certain algorithms that make the AI play well in specific situations. For example, the main difference between the Easy and Medium AI is that the Easy AI does a really poor job of buying defensive units, leaving it vulnerable to attacks. All of the AI settings and parameters are completely data-driven, meaning that we only need to change a value in a text file to change how the AI behaves. In fact, starting from the Master Bot, all the other difficulty settings were created in about 15 minutes without editing a single line of code!